Aubin Grove is a relatively ‘new’ and developing suburb housing approximately 351 people (2006 census) within the City of Cockburn. This suburb promises accelerated growth in terms of developments and facilities making it a sure gem within the Perth Metropolitan Area. Whether you are a young family seeking the convenience of state of the art facilities and services, educational facilities and recreation; or simply looking for a piece of tranquility amongst picturesque parkland Aubin Grove is sure to please. Aubin Grove is conveniently located only 23.21 km from inner Perth city, nestled in pristine parkland and nature reserves. The northern perimeter of this suburb is bounded by Dollier Street, Jandakot and Fraser Roads. In the east it is bounded by the City of Armadale, and it’s southern border bounded by the town of Kwinana. The western perimeter is bounded by Lyon, Gibbs, Beenyup and Tapper Roads. The history of Aubin Grove is a rather short one, as it was only approved in 2003. Prior to this Aubin Grove was formerly part of Banjup. Its namesake Henry John Aubin had leased agricultural land in the area. In terms of educational facilities, students and families are spoiled for choice with both government and private schools in and around the local area. The convenience and variety of services and facilities available to residents makes Aubin Grove a truly delightful suburb to reside in. The Aubin Grove community facility boasts a large community room, which is available for hire, as well as a multipurpose hall and a shaded play area for the kids. For added convenience parking bays are accessible on site. In terms of health care facilities the Aubin Grove Medical Center specialises in a wide range of services not limited to women’s health, men’s health, children’s health, mental health and minor surgery. A dental center is also available. For those who enjoy wining and dining café’s and restaurants are plentiful. For those who enjoy some pampering and a bit of retail therapy you cannot go past the many beauty and hair salons. In close proximity is Gateway shopping center, a large shopping mall housing supermarkets, specialty stores, department stores, eateries and even a library. Aubin Grove lies in the picturesque setting of lush parkland and nature reserves offering tranquility and an ideal setting to relax with a good book in the summer time. Young families can also take advantage of the numerous barbeque facilities, picnic areas and playgrounds for the kids. Sport The $3 million state of the art Aubin Grove Sport and Community Facility has 3.2 hectares of playing fields ideal for T-Ball and soccer to name a few. The sporting facility is the home ground of the Jandakot Eagles Softball Club. Public transport to the city from Aubin Grove is approximately only 17 minutes away. A bus and train route exists with Cockburn Train station being easily accessible and within close proximity. 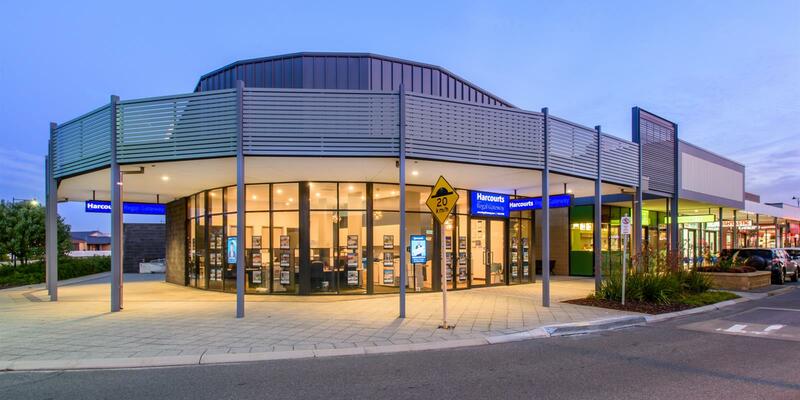 The state government has announced plans to open an $80 million train station accompanying a 2000 bay car park in Aubin Grove.